The Village at 48 West | AVB Inc. The village at 48 West represents one of the most innovative student housing projects in the region. 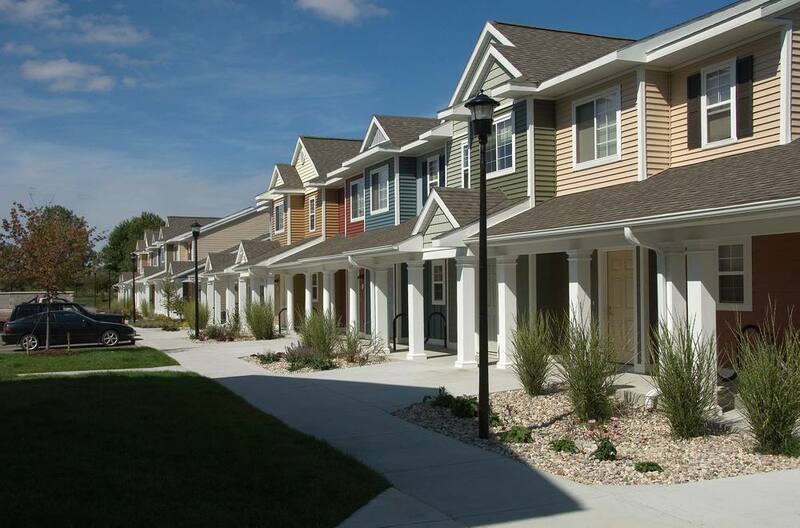 AVB didn’t just build new student housing, we helped our client to develop an entire community. The development includes a student village center housing retail stores and recreational amenities. Phase one consisted of 14 new buildings and nearly 300,000 square feet of new construction. In order to meet Grand Valley State’s next semester move in deadline, the new construction had to be completed in an aggressive 10 month schedule. The completion of phase two the following year, brought the community to a total number of 920 beds in 262 units. AVB was able to construct the entire housing project on schedule, ready for students to move in for the upcoming fall semester, and under budget. The Village at 48 West is a true student community that features the best in student living.